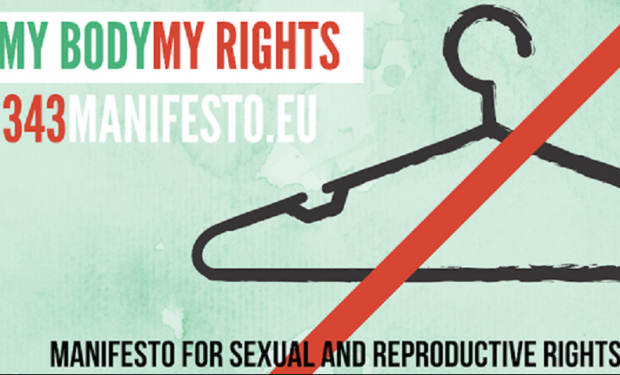 The Czech Women's Lobby joined the Manifesto My body, my rights! We, 343 European women, stand for a Europe of women’s rights and self-determination. We pay tribute to the 343 women who published a manifesto in France in Le Nouvel Observateur in 1971 calling for women’s sexual and reproductive rights by demanding legal abortions. We do the same today, because Europe experiences a backlash on women’s rights: Achievements on sexual and reproductive rights since the 1970s are under threat again. We thus call upon all European governments and the European Commission to establish and guarantee conditions that protect and advance women’s rights and self-determination. Despite recent achievements, such as the abolishment of the abortion ban in Ireland, the right for women to choose is threatened across Europe. The Polish government is making repeated attempts to restrict the already limited possibilities for Polish women to terminate a pregnancy. In Malta, abortions are illegal. In Italy, many professionals simply refuse to perform them. These are but a few examples of the backlash on women’s rights, and we remain alert to this attack on women’s self-determination and the attempt to re-establish authoritarian values in the European Union. The right to self-determination is far from equal across Europe: Some women are allowed to abort legally and in safety thanks to the rights progressively obtained since the 1970s. Others, especially if they cannot travel abroad to get an abortion, are forced to undergo illegal treatment under dangerous conditions, risking their health and lives. This inequality is unacceptable, as is the silence surrounding the denial of fundamental rights to women within the European Union. Today, as we honour the ‘Manifesto of the 343’, which called for the right to abortion in France in 1971, we demand the same rights for all women in Europe. If we do not act now and commonly defend our rights and values, regressive legislation could take us back to times when the first manifesto was drafted. But we refuse to leave the ground to reactionary forces, to whom the renunciation of women’s socio-economic rights is a simple way out in a time of complex globalization. European integration has brought peace, improved living conditions for a large number of citizens, and the extension of democracy and the rule of law. We believe that now is the time to step up for equal rights for all women. Women in Europe must have the same fundamental sexual and reproductive rights, the right to choose, as well as access to health services, contraception and abortion without a conscience clause. To that end, we call on the EU Member States and the European Commission to provide the political and financial means to ensure women’s access to safe and legal abortions in Europe and beyond, and to strongly condemn regressive and repressive discourses, laws and policies that restrict women’s rights to self-determination.